"St Bart's has been delighted with the quality and nature of the Fives courts, built by JPR Courts. The construction design meant that the component parts went together swiftly and smoothly. We are now enjoying the sport in some of the finest courts in the country." "These beautiful new courts are the first in the country to be built with walls pre-cast off site. Pre-cast gives a smoothness of surface, an accuracy of dimensions, and a quality control all second to none. They have been built by a specialist in fives-court construction dedicated to making fives courts as well and as affordably as possible, and I have to say that there is without doubt no finer-looking complex of Eton Fives courts in the country today. They have a real “wow” factor and St. Barts can be justifiably proud of them." Eton fives can be played by both sexes and people of all ages, from seven to seventy. "JPR principal John Reynolds needed to make a considerable number of personal visits to the site, research and provide designs and drawings, meet with the whole project team and have personal relationships with the architect, the project management and the building teams and maintain constant liaison with the club’s senior officer and the game’s governing body. The club and the governing body were entirely satisfied with the result of these efforts. In all respects the collaboration worked well and John Reynolds commanded the respect of all parties. The club highly commends the work of JPR courts and the results testify to its high quality." Players are taught that they have to see things from their opponents’ point of view, and to judge themselves from a neutral standpoint. "I commissioned John Reynolds to install a fives court in Sussex. The court was delivered in flat pack sections and erected on time and on budget despite some very tricky access issues on the site. The court itself is of an extremely high quality and I am very happy with it." 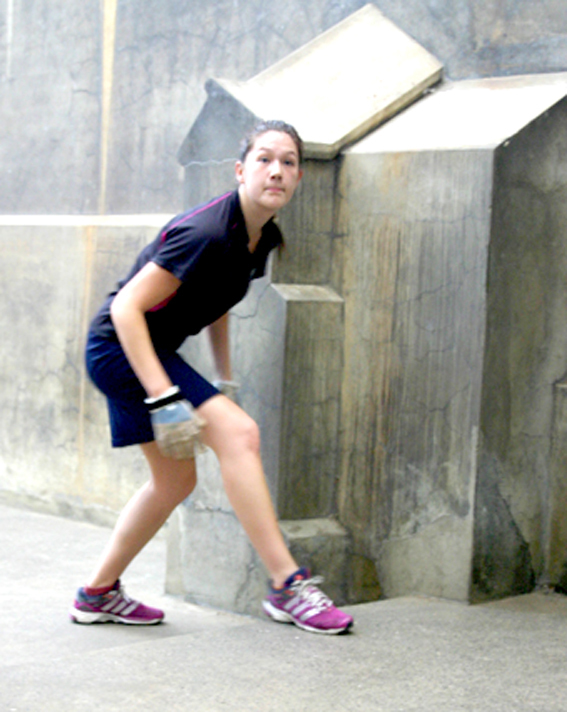 Fives is the perfect urban sport: it takes up very little space and is very cheap to play.